Have I mentioned before that I LOVE doing the Halloween games for my kids’ school parties!? This Hot Pumpkin Halloween Party Game is one I’ve done a few times over the years. This Halloween party game is a take on the popular Hot Potato game in which players pass a small object such as a ball or a bean bag around until the music stops. We are down to just one pumpkin, so I just purchased this set of 3 pumpkins to play Hot Pumpkin for our Halloween games this year. This pumkin is similar to the one in the picture. If you have done classroom party games, you probably know that there is often not a ton of space. In this case, I usually break the kids up into small groups rather than doing one large group. The winners of those groups can compete in a final challenge. This can also be done without music by the having the leader shout “hot pumpkin” when they want play to stop. 1. Instruct the kids to form a circle facing each other. 2. 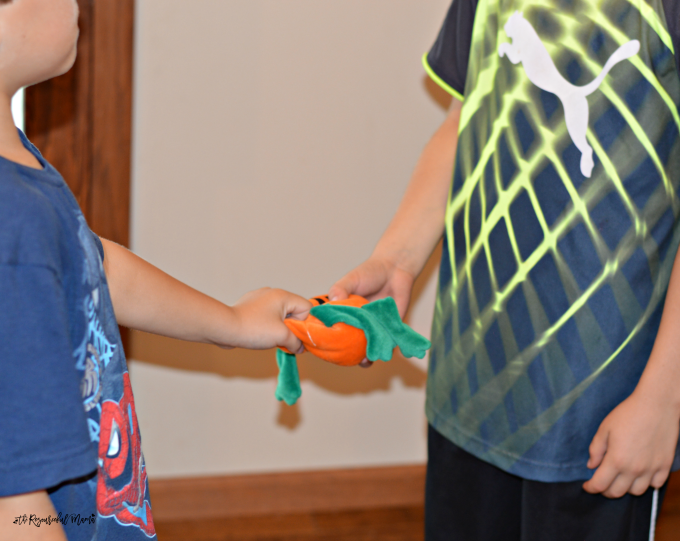 Hand the pumpkin to one student and instruct them to pass it (nicely) to the classmate next to them when the music starts. Students continue to pass the pumpkin to the classmate standing next to them until the music stops. 3. The player left holding the pumpkin when the music stops is eliminated.